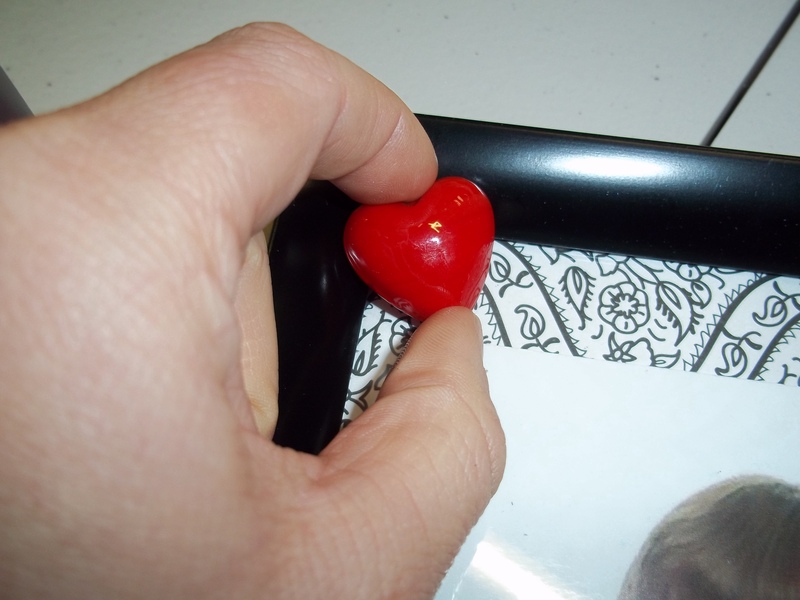 Holidays – Page 2 – Stones, and Tokens, and Hearts, Oh My! 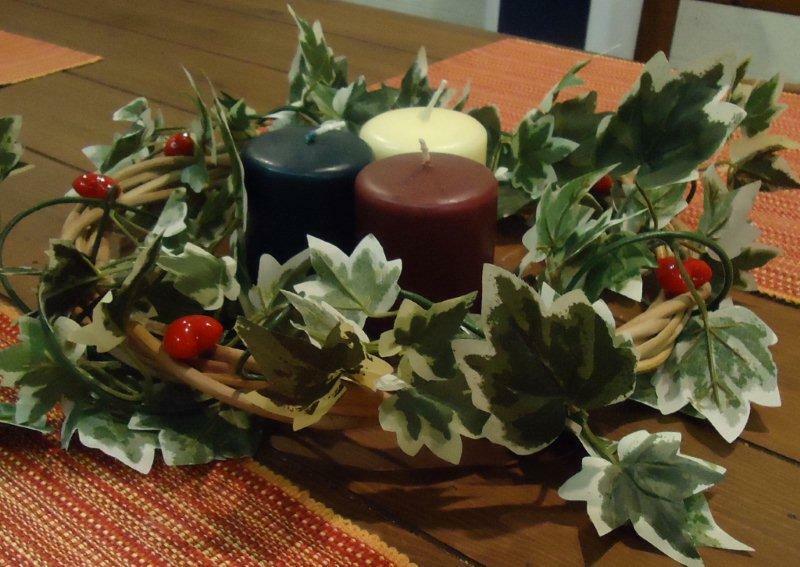 Craft projects with holiday themes! 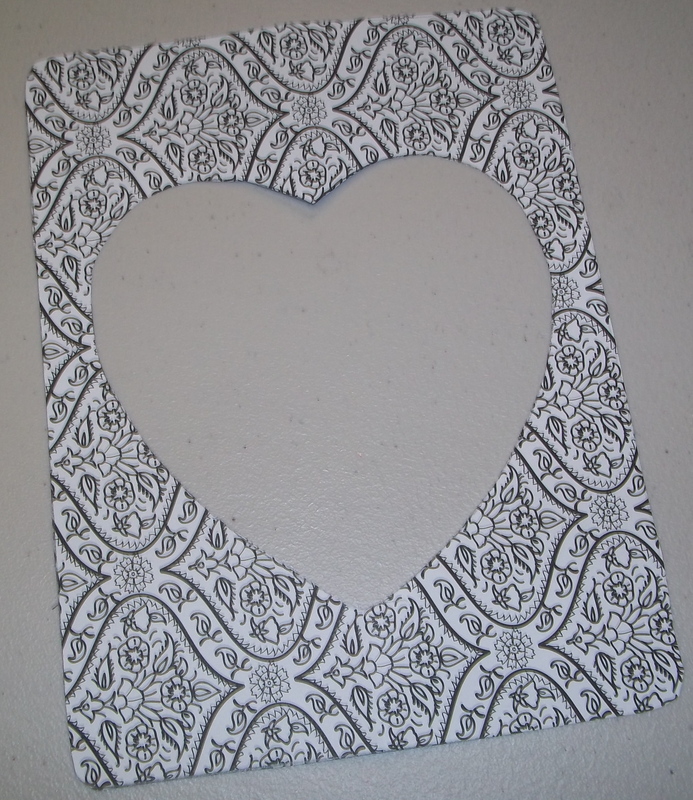 I spruced up a plain black frame by gluing hearts on each of the corners. 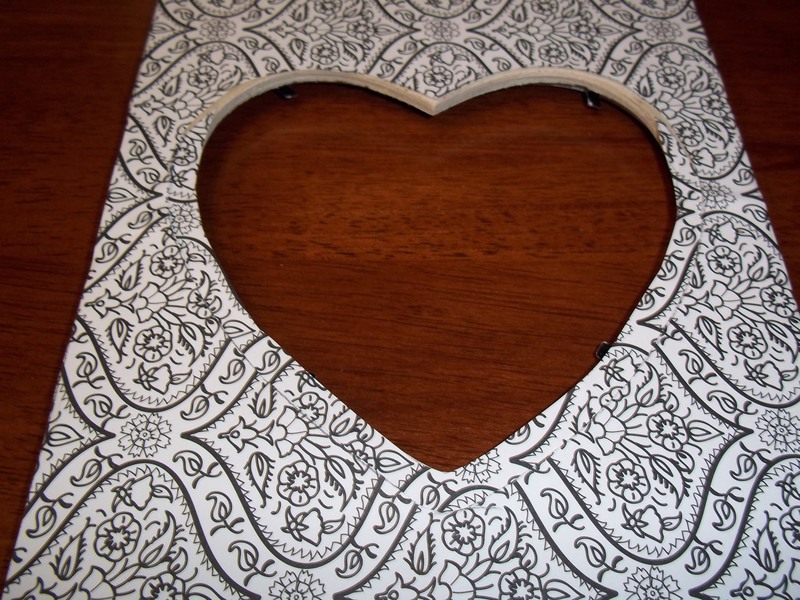 I found a frame with a cut-out of a heart in the center which I glued a sheet of black and white scrapbook paper to. 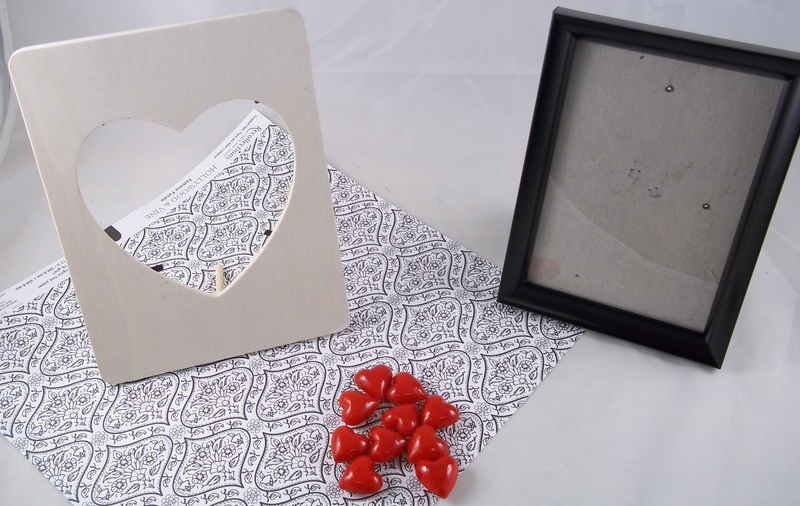 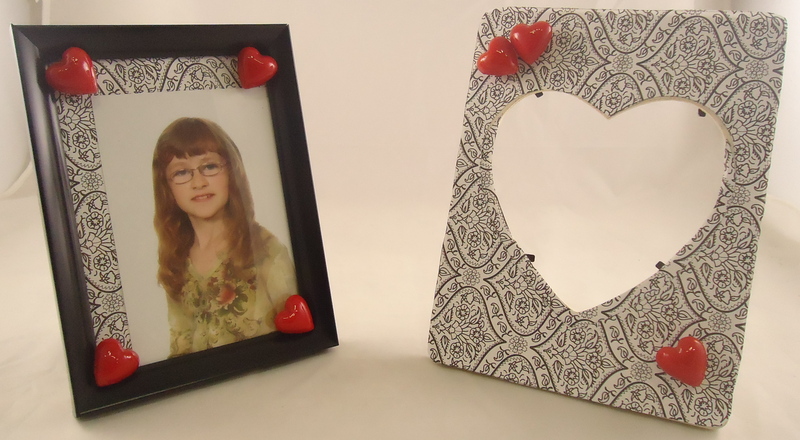 I then glued on a few hearts creating a perfect Valentine’s Day gift! 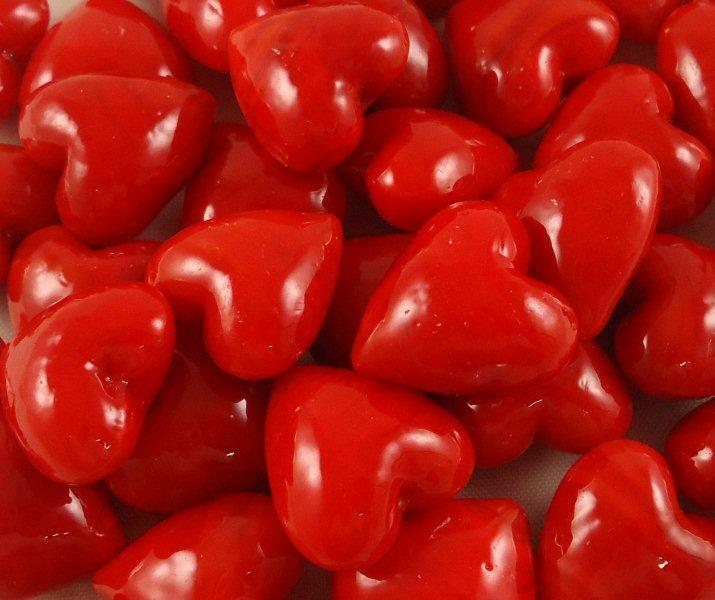 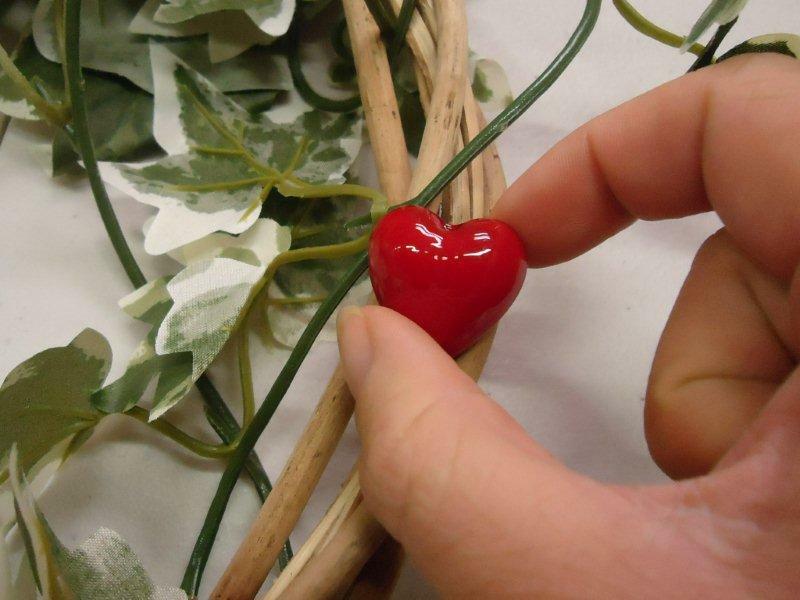 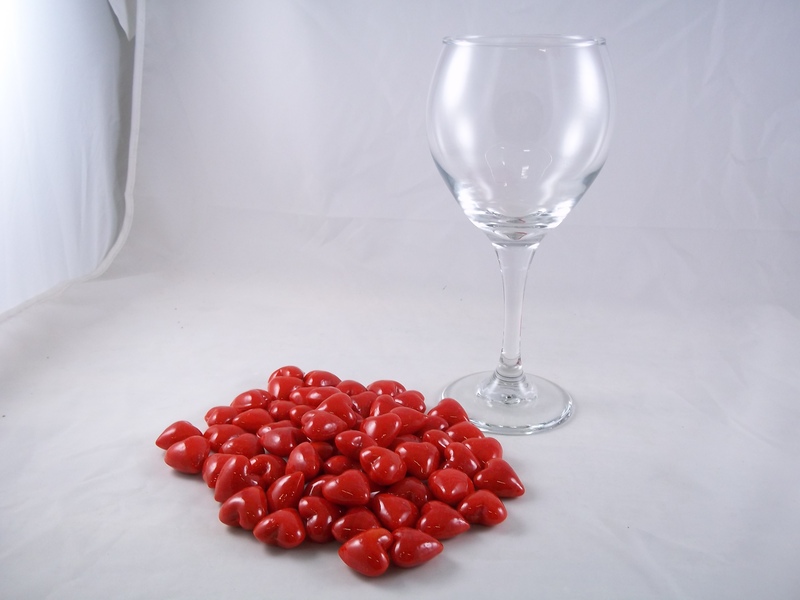 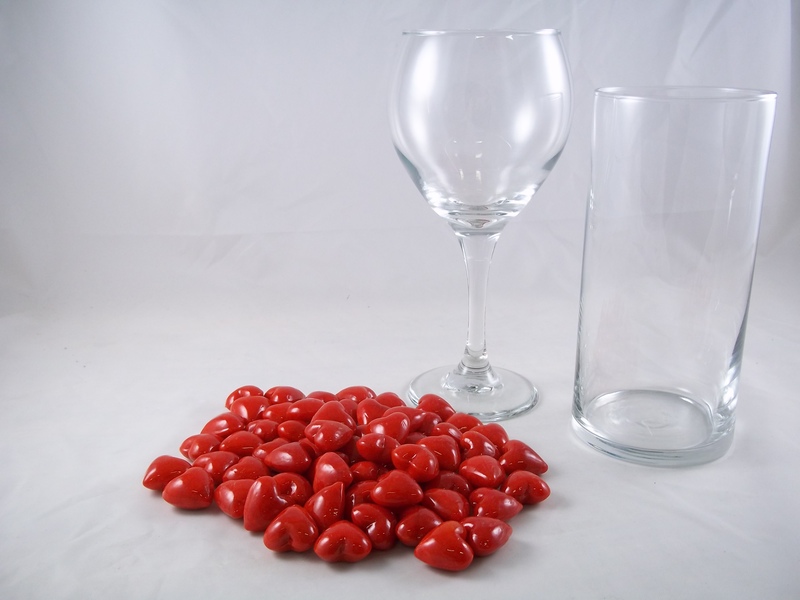 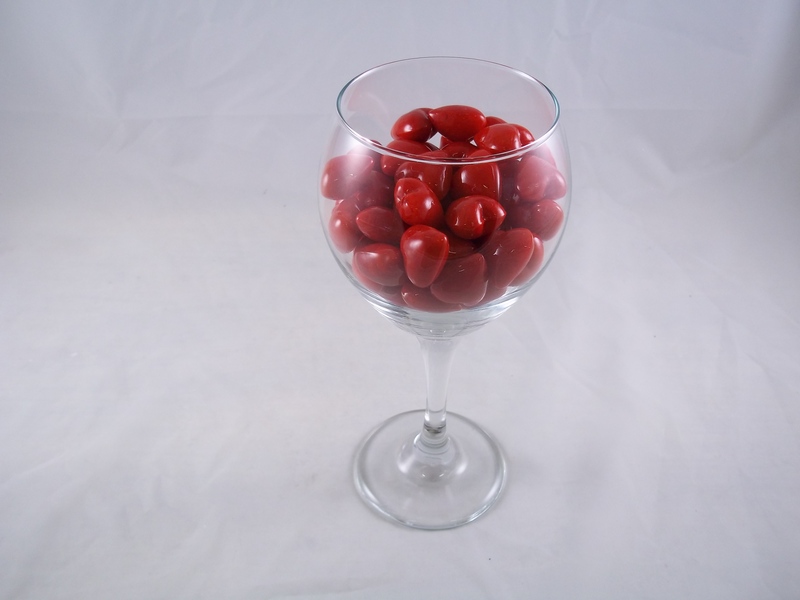 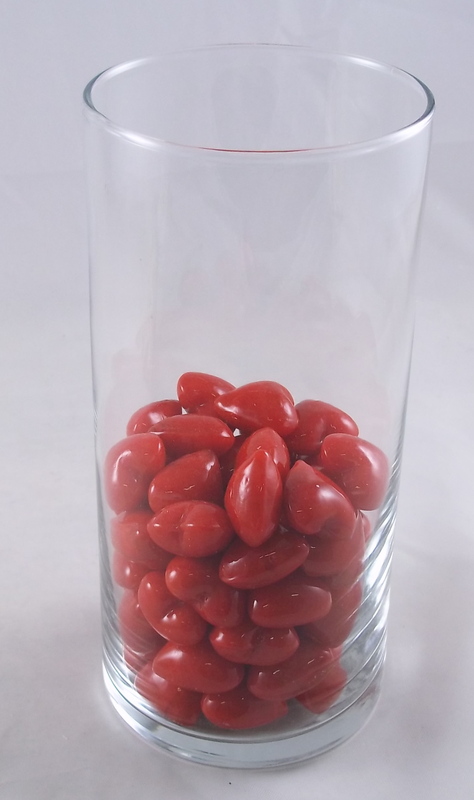 Replace the berries in your wreath with our Red Glass Pocket Hearts! 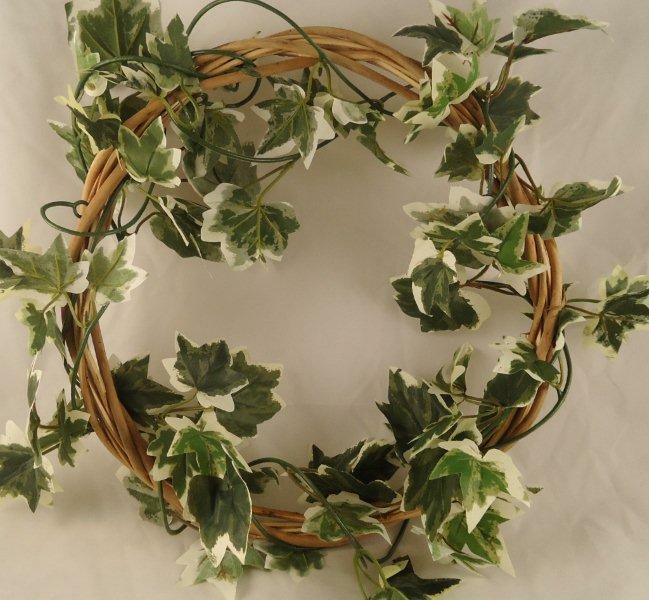 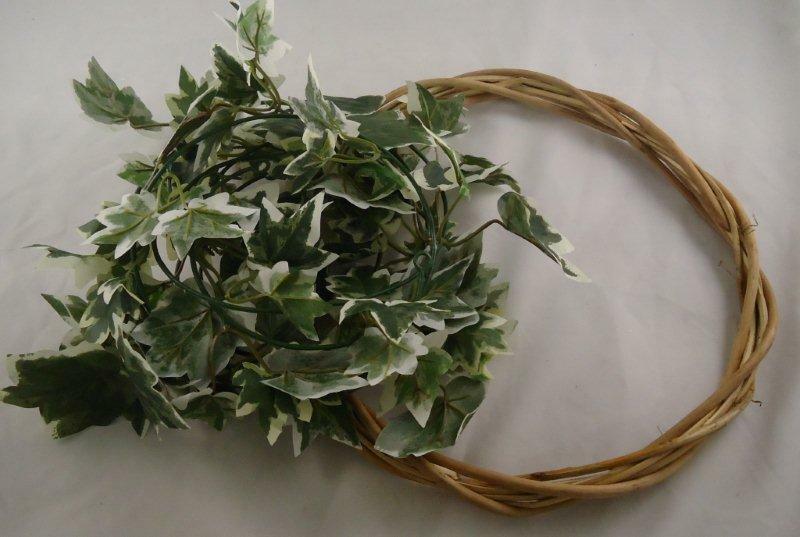 Wrap the foliage garland loosely around the wreath. 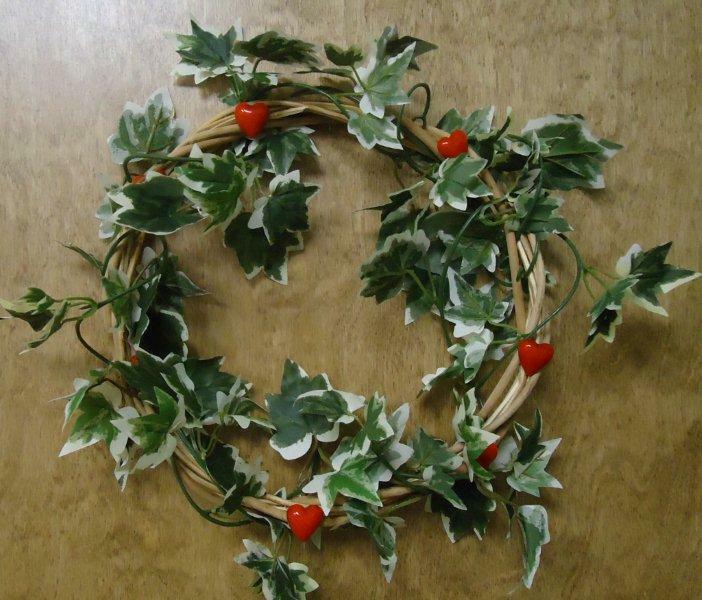 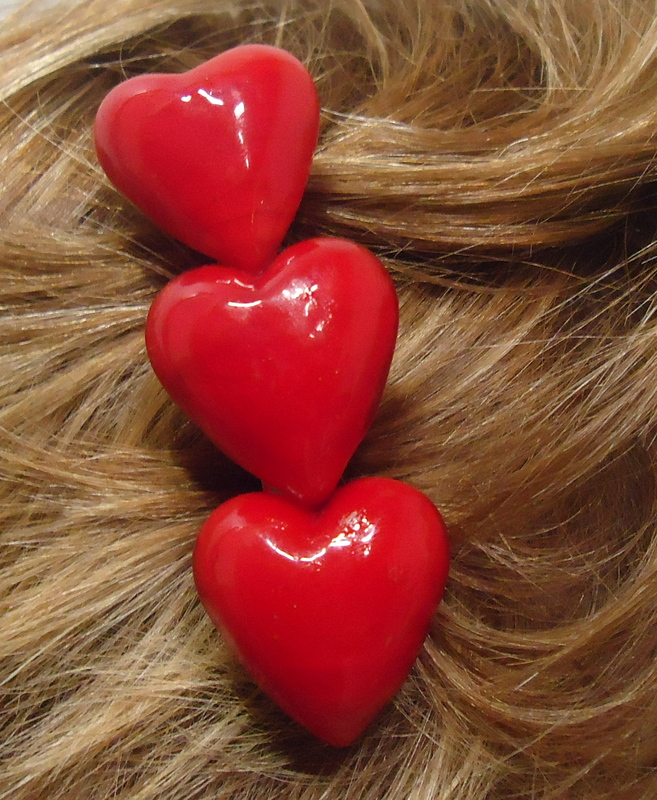 Then glue the red glass pocket hearts around the wreath. 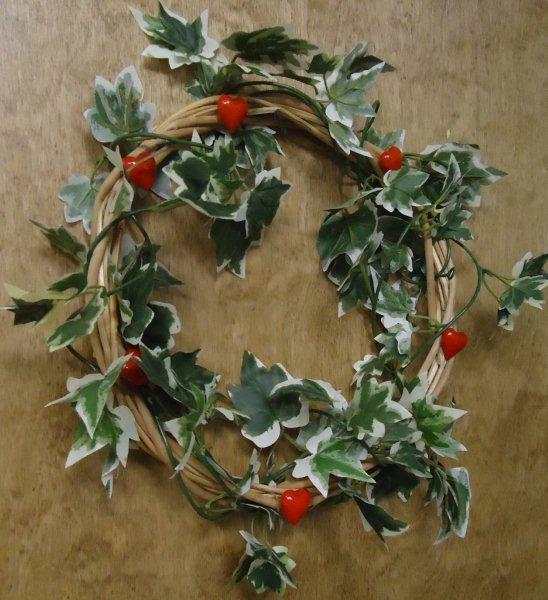 Hang on your front door…and voila, a cute, colorful wreath perfect for the winter holidays or Valentine’s Day! 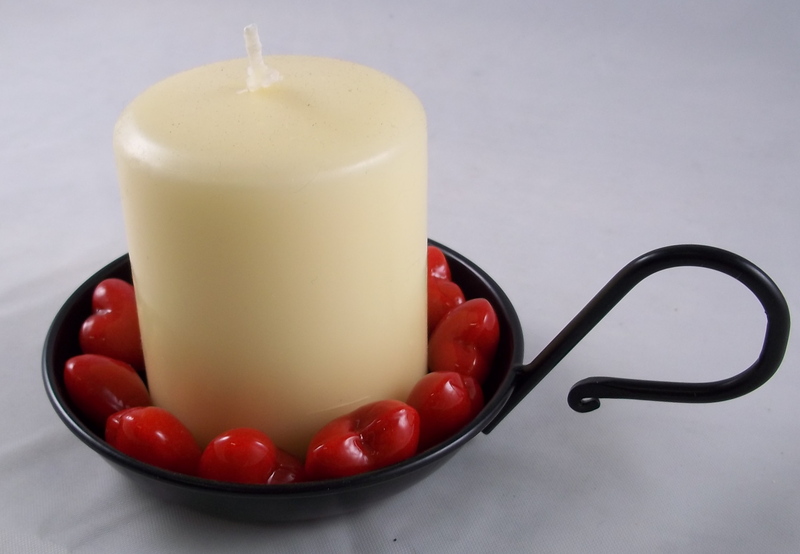 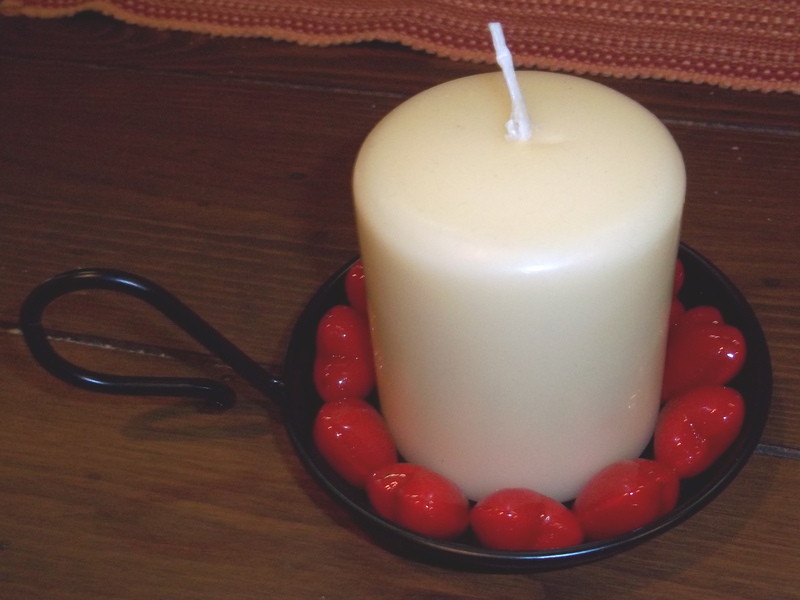 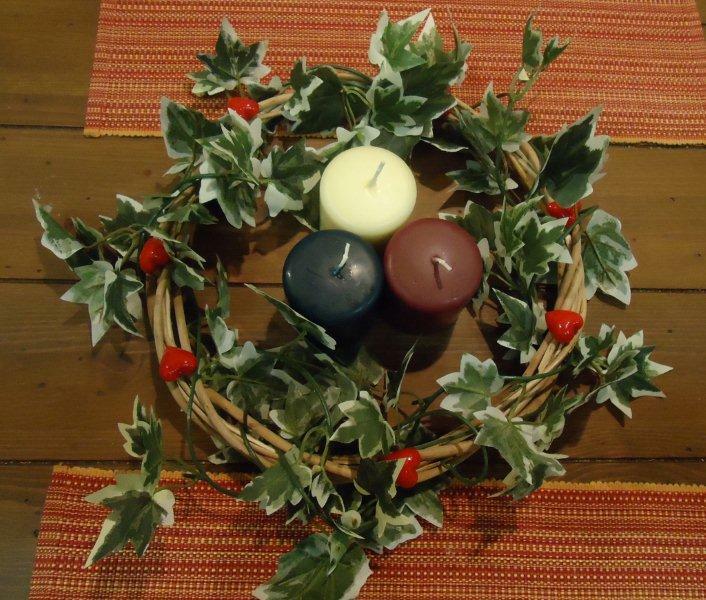 Another option…put a candle in the center and use for your table’s centerpiece…so simple and lovely! 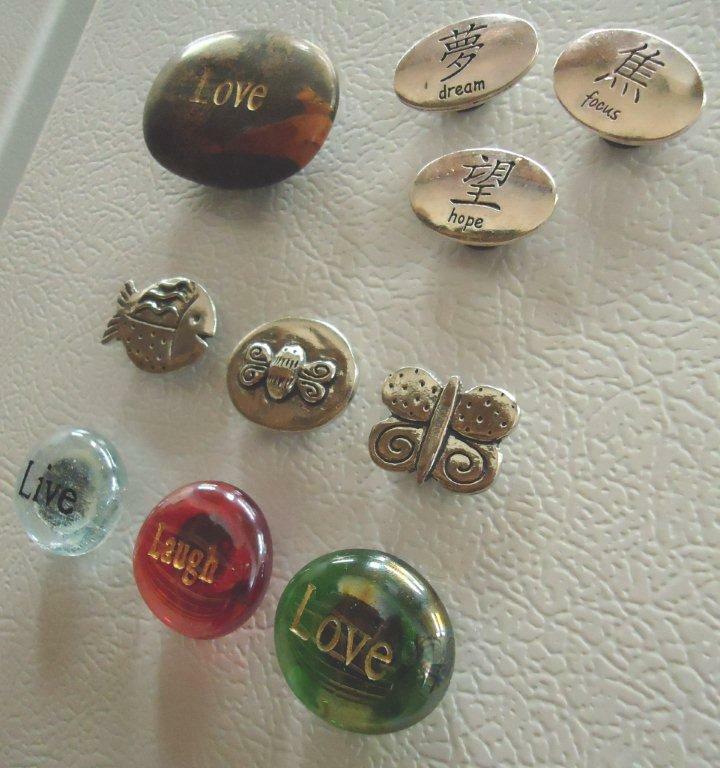 Look at these adorable fridge magnets that Natalie made using a variety of our products. 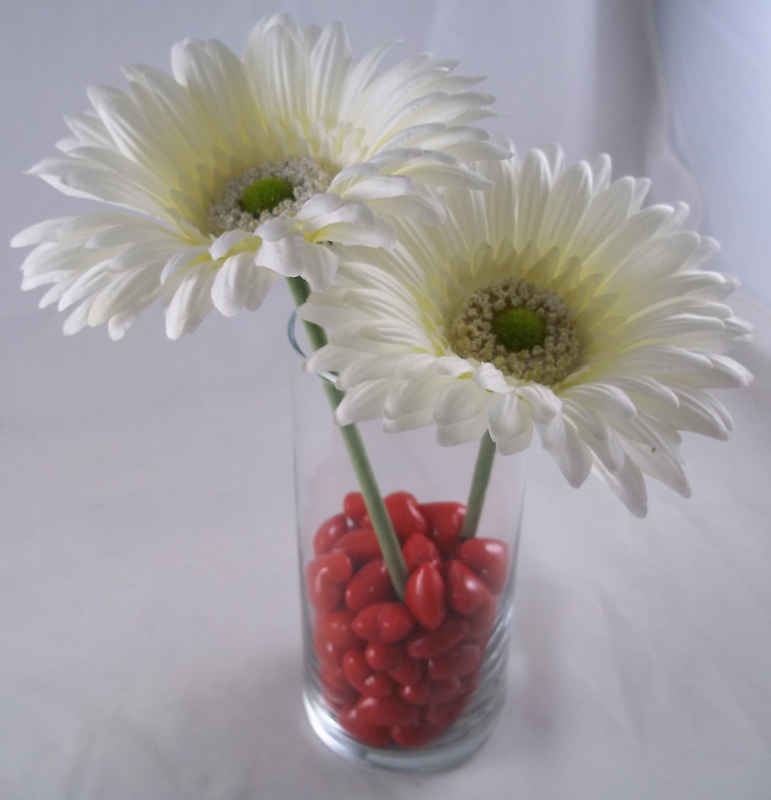 Inexpensive, cute, functional and they make an awesome gift! 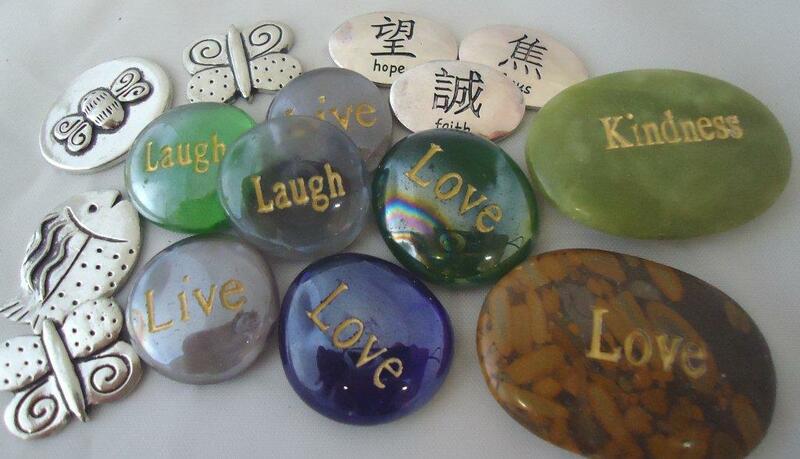 Stones or Marble Word Stones from www.courageinstone.com. 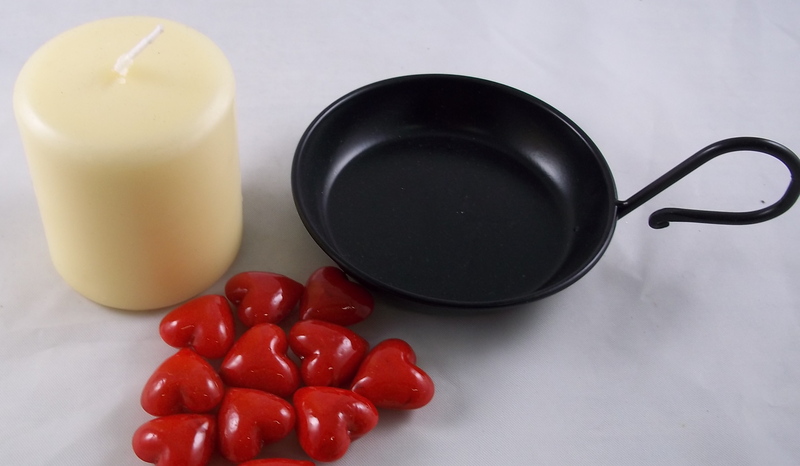 Step 1: Choose from our variety of products. 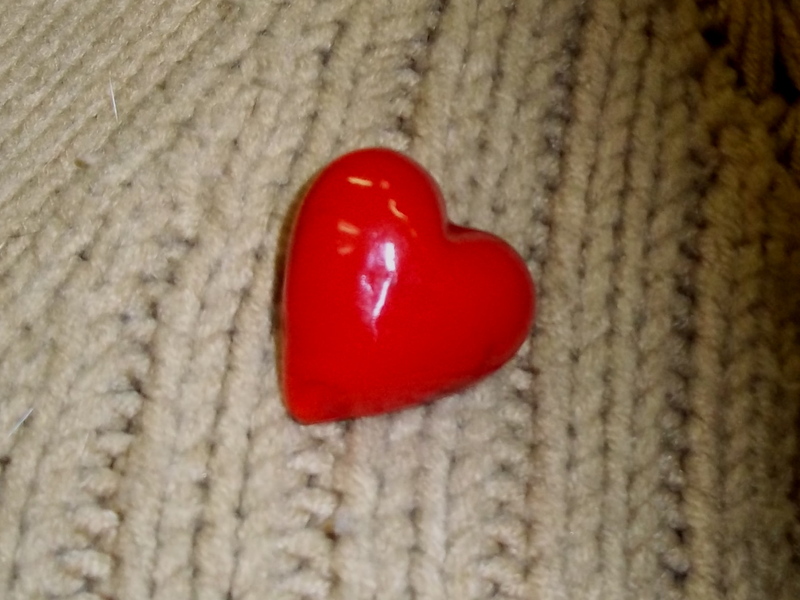 I used Live, Laugh and Love Glass Spirit Stones. 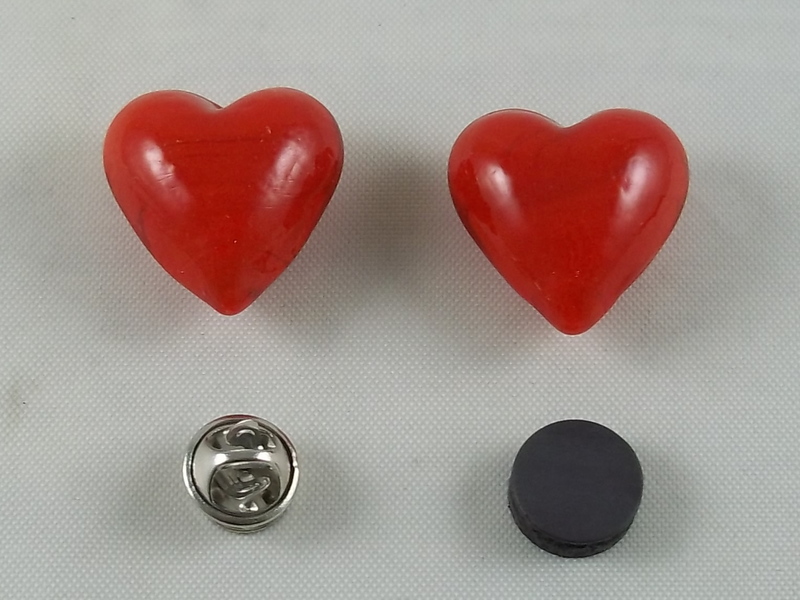 Then I picked Kanji Reflection stones that I find inspirational (hope, faith and focus), several of the pewter pocket tokens and a Marble Word Stone that says Love. 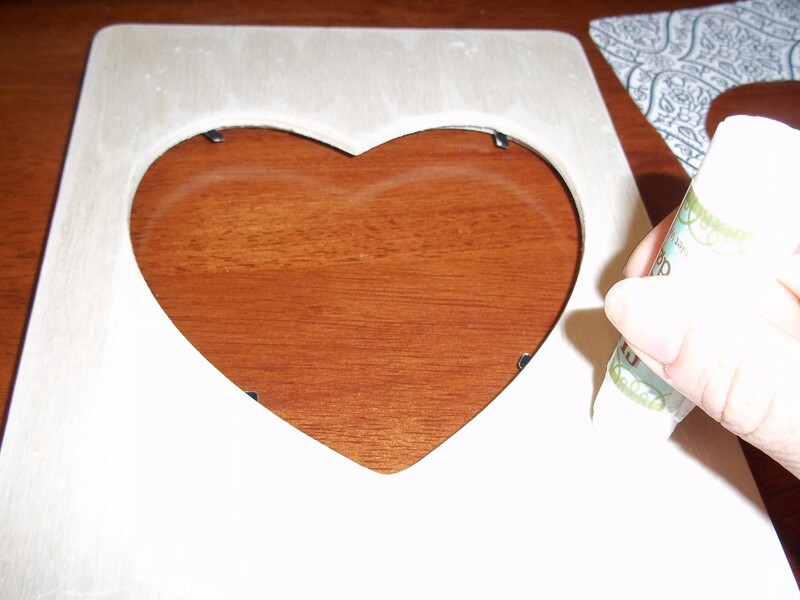 Step 2: Use a craft glue to glue magnet onto token. 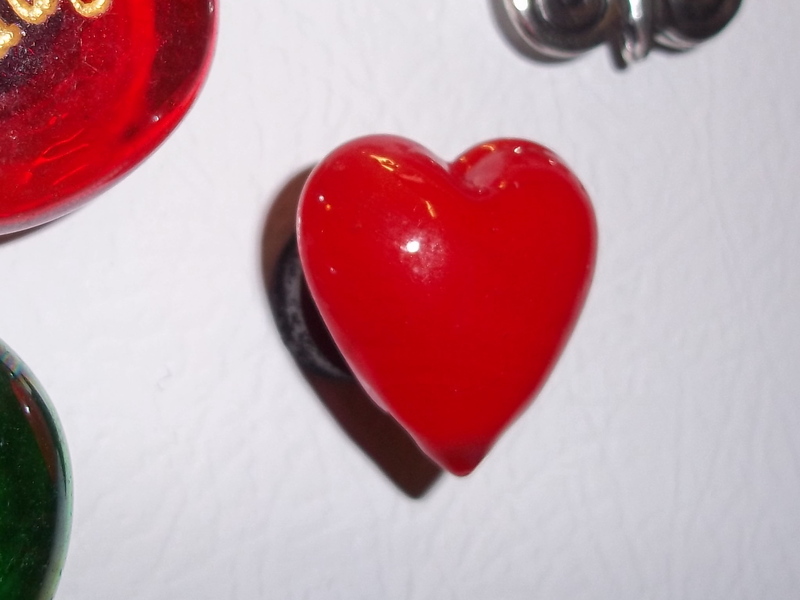 Step 3: Enjoy your magnet on fridge or filing cabinet. 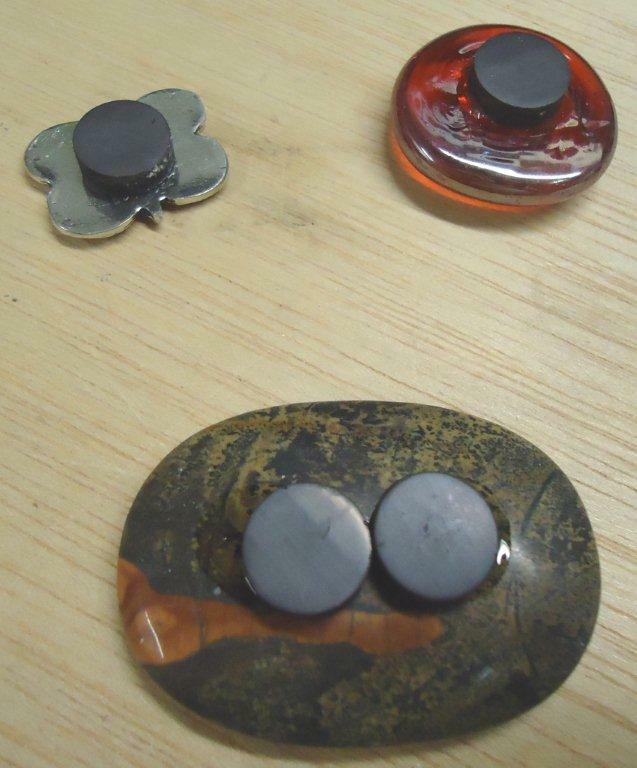 On larger stones, I used two magnets. 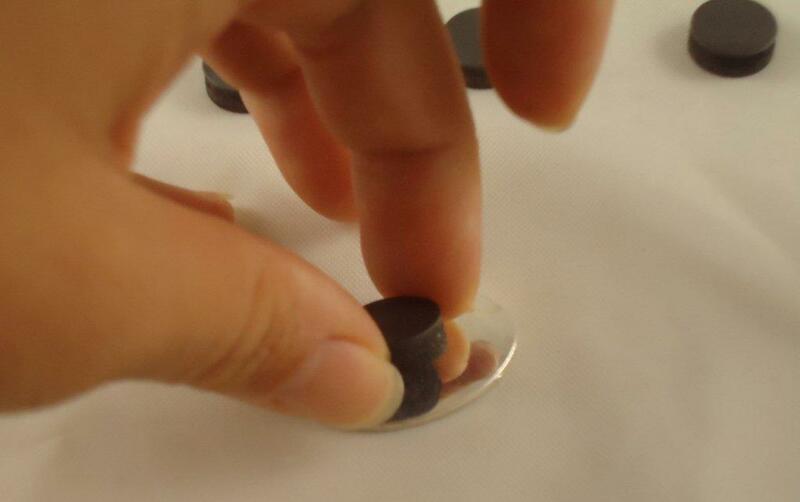 Adhere magnet to back of token. 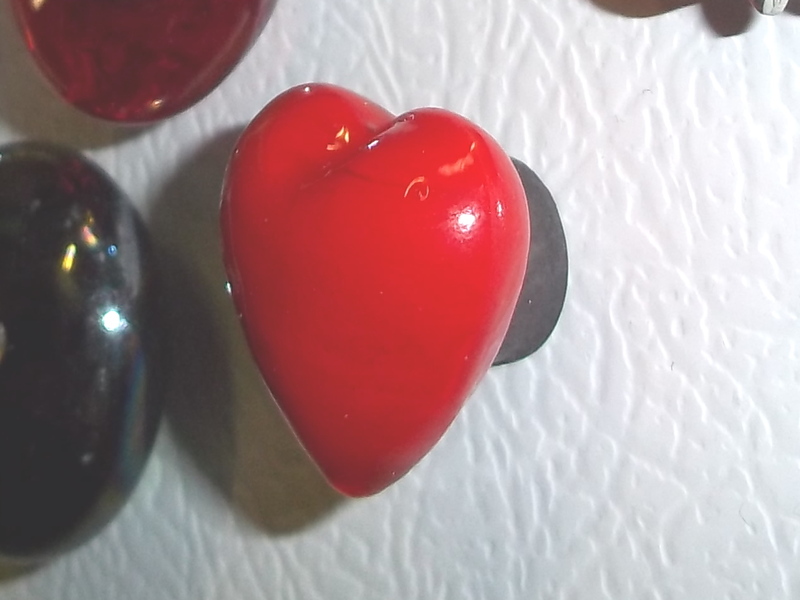 Choose meaningful stones or tokens.